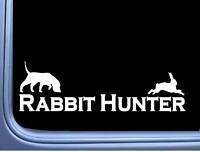 I am thinking about buying an already running dog from branko him self but what I am concerned about is his dogs run and are trained on nothing nut Hare and I don't have any here in Va. Would a dog that was trained and ran on hare have no problem switching over to cottontail and swappers? If any of y'all have bought already running dogs from branko and run then on only cottontail how did they transition to cottontails. Any advice would be great. Thanks in advance! this would be my answer to your question. Are you planning on watching the dog run before you purchase it or are you going to take their word on how it runs? If your not planning on watching it I would not purchase it. We run our dogs on hare every year and it takes them some time to swing back into cottontail mode. I would never buy any dog without watching it run you are just setting yourself up for failure if you do. I bought a female that had been run on hare till she was 5 years old, took a couple of months of running for her to tighten up on cottontails. Once she did she was as good as they get. It's a lot tougher for a dog to switch from hare to cottontail. A lot of it depends on the dogs traits and running style. Obviously you will probably have to solo and work the dog a lot on cottontail. Some dogs are just have the natural ability to do this quickly. I call them phenoms just flat out complete rabbit dogs. 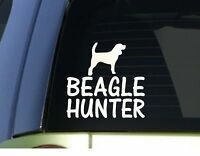 Very few of these dogs out there for sale but I bet Branko has rasied plenty. I condition the dogs in the summer and September on cottontails and then go to Maine in October for a couple weeks of hare hunts. Then return to ohio for the start of our cottontail season, I have never seen a problem on switching back and forth on cottontails to hare and back to cottontails. The dogs will be in great condition for the start of Ohio's rabbit season. I run Branko/Northway dogs. Twenty years ago I moved from New Hampshire down here to Tennessee and brought three beagles with me that had never seen cotton tail rabbits.Only hare.All three were what you would call out of hare breeding. One female was out of IFC Maravic's Blue Ninja,a female out of IFC Greenbriars Birch Haven Merlin and a male out of Clarence Ward's Green Mtn. Commander. Both the females adjusted to the cotton tails without too much trouble and had successful careers as solid cotton tail gun dogs.The male never really would gear down enough for my liking and he was sent back up north where he resumed his career on hare. I agree with 2barrel quote" a lot of it depends on the dog's traits and running style". I regularly go north to hunt with old friends that live in Vermont,New Hampshire and Maine.Come back to Tn. after a couple of weeks of hare hunting and I don't have any issues with my dogs picking right back up on running the cotton tails.I hear about guys saying it takes their dogs time to readjust and running hare messes them up for cotton tails,etc. but I don't find that a problem for me. The Krpans know what they are doing when it comes to breeding and I believe if you were to talk to Freida and told her what you are looking for in a hound she would be able to recommend specific crosses that would best suit you. Their hounds such as Doc Watson,Warlock,Chubby Checkers might give you the type of hound that you would like best on the cotton tails. Denny Dugan from Ohio has taken Branko dogs for years and has had much success with them on cotton tails.I would talk with him and get his in-put. If money is plenty and time is your leisure, you should have and try what you want. You might spend the money and import a "diamond in the rough", or the well you dig might end up a dry hole. Good luck on you venture...each chapter we add to our diary teaches us something new. A good dog will be able to run rabbit or hare with no problems. When I say "good", I mean a hound with plenty of desire, nose & brains. A faster type hound that has experience running only hare, may need a few weeks to adjust to running the smaller, tricky cottontail that doesn't give as many opportunities to drive the line at a fast pace. There is no kennel in my opinion that has made as big of an impact on the hunting beagle than the Branko kennel. Starting way up in Manitoba, Canada, the Branko's increased their odds of breeding quality dogs by using some of the most famous & proven hunting beagles at the time in their first few crosses; legends like IFC Adirondack Bobby, FC Dingus MacRae, IFC Able's East Coast Trimmer & so on. Eventually, several of their studs produced well not only in the north on hare, but in the Mid-West on cottontail. IFC Branko's Heli-Prop was very influential to our Mid-West field trials on rabbit. His offspring could pursue aggressively with good line control & proved to be excellent at working a lose the proper way that lead to great results in competition. Heli-Prop blood is still thriving today; the current 2015 Top Sire, IFC Cedar Beck Oliver has a lot of this blood in him. Over the years, Branko has become a household name in the beagling community with most of our better hounds tracing back to this bloodline in some area of their pedigree. With all this being said, truly exceptional dogs are few & far between in every part of the country & every kennel, even proven ones like the Branko's. The upside of getting a great hound with a proven pedigree like you would get from the Branko's is enormous because for one, it could be a solid foundation to build a kennel around & also, let's face it, a full blooded true Branko FC stud would definitely be used enough as a stud to buy a lot of dog food. No risk, no reward, but don't blame anyone but yourself if you buy a dog without watching it run enough to be satisfied. Good luck. I hope things work out well. I've bought several dogs from Branko and was pleased every time. Many have testified in the past of the remarkable training facility and hospitality the Krpans have. If your going to purchase running dogs make the trek north and have no regrets. Impossible to overcome all the perception on both sides to partner you with the right hound. If you simply can't make the trip and still want a Branko hound buy a pup or fresh started pup that is still impressionable and will bond with you. Buying finished dogs sight unseen has been a case study in itself....if your expectations are limited it could be an exciting experience....if you have been saving for years to come up with $2500 for a sure thing....their are field champions that can be purchased for similar price that are pretty sure thing born and raised on cottontail.